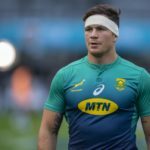 The inclusion of Francois Louw will aid and abet South Africa’s efforts at the breakdown, writes former Bok scrumhalf NEIL DE KOCK. 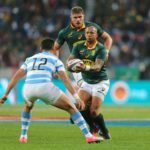 The Springboks’ historic win over the All Blacks in Wellington is a fillip for the global game, writes former Bok scrumhalf NEIL DE KOCK. 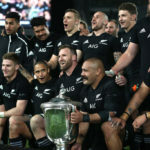 The All Blacks’ dominance is good for world rugby because it’s changing the way teams are approaching the game, writes former Bok scrumhalf NEIL DE KOCK. 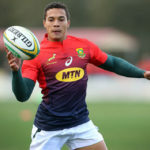 Cheslin Kolbe’s national call-up is a big statement in terms of how the Springboks aim to play the game, writes former Bok scrumhalf NEIL DE KOCK. 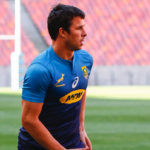 The Springboks will experience teething problems in the infancy of Rassie Erasmus’ tenure and the public needs to remain patient, writes former Bok scrumhalf NEIL DE KOCK. The away Test against Argentina is the ideal opportunity for Rassie Erasmus to test his squad depth with their challenging Australasian tour on the horizon, writes former Bok scrumhalf NEIL DE KOCK. 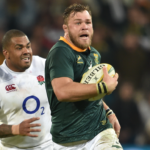 With Faf de Klerk’s long-term Rugby Championship availability in doubt, game time must be distributed more evenly among South Africa’s scrumhalves, writes former Bok No 9 NEIL DE KOCK. 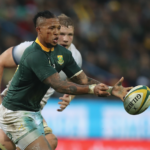 Damian Willemse points to an exciting Springbok future but Elton Jantjies shouldn’t become a ghost of their past, writes former Bok scrumhalf NEIL DE KOCK. 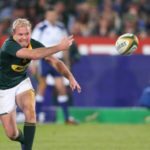 Duane Vermeulen is at the peak of his powers rather than the twilight of his career, writes former Bok scrumhalf NEIL DE KOCK.